Congratulations Paula Woodford from Mount Pearl, NL! 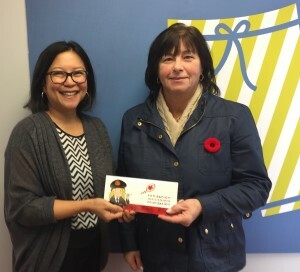 Paula is the winner of 2 Economy Class return tickets for travel to any Air Canada scheduled destination in North America including Hawaii, Mexico and the Caribbean (some conditions apply). Thank you to everyone who participated in Jamarama or made a donation. Thank you to the Air Canada Foundation for their continued support. Congratulations RBC, the Top Fundraising Team! 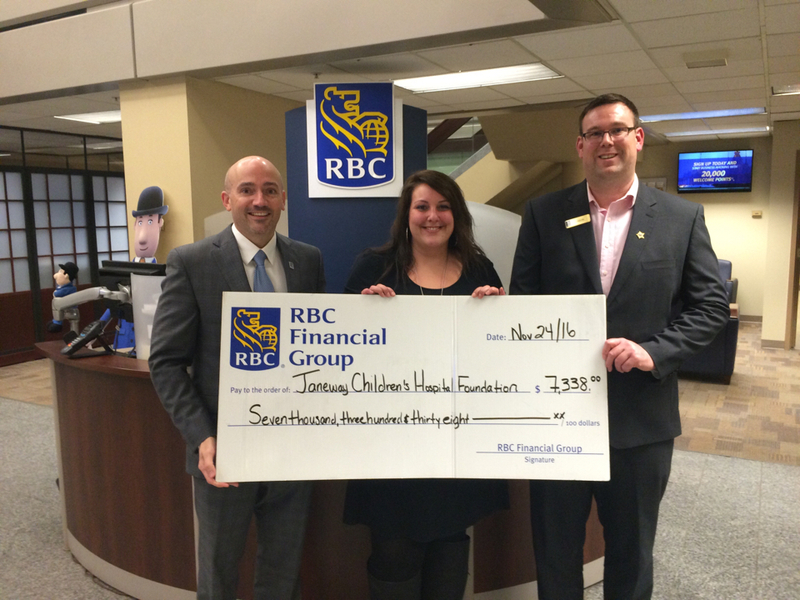 A big shout out and THANK YOU to the RBC branches and their employees across the province, and RBC Foundation for their support of Jamarama 2016! Pictured with the Janeway Foundation’s Jenine Kerrivan are RBC’s Colin Krulicki and Jason Coady.